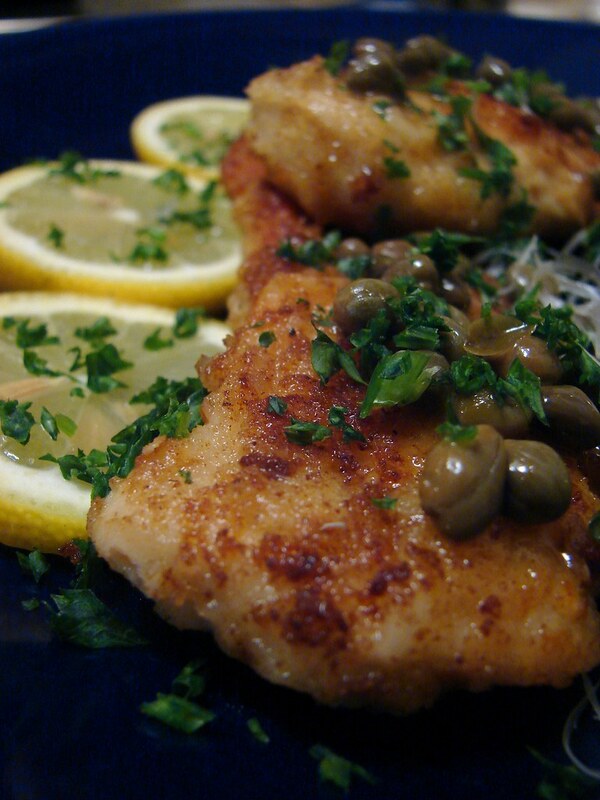 The other night I made the Chicken Piccata from Simple Recipes. Though I wish I would have taken the time to pound my chicken out a little thinner, the results were very good. I mean, come on, there's capers in the sauce! How could you go wrong? I had it with some roasted brussel sprouts. 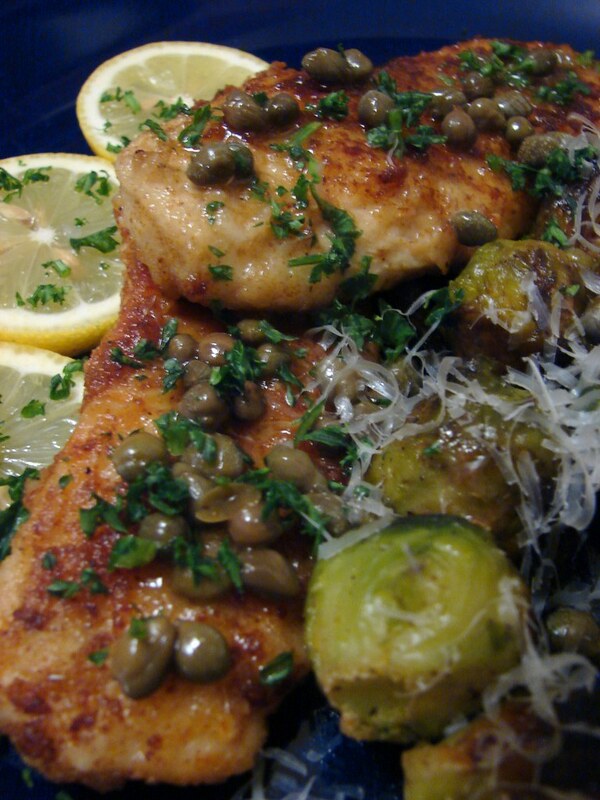 I've always wanted to try both Piccata and capers. It looks so good!